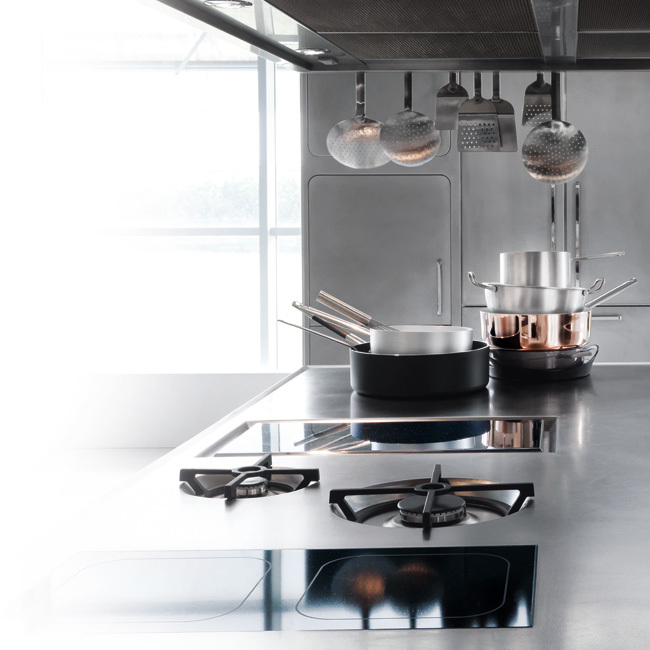 The Ego designer kitchen is Abimis’s icon product. With Ego, designed by Alberto Torsello, Abimis defines a new concept of the designer kitchen by restyling cooking spaces and designing them with a contemporary twist. The Ego designer kitchen by Abimis constitutes pure design. Its rounded and elemental silhouettes lend the entire surrounding setting uniqueness and elegance. The uniqueness of the Ego line can be seen in the flush door fully integrated into the structure. The patented hinging pivot was designed specifically not to require any adjustment. 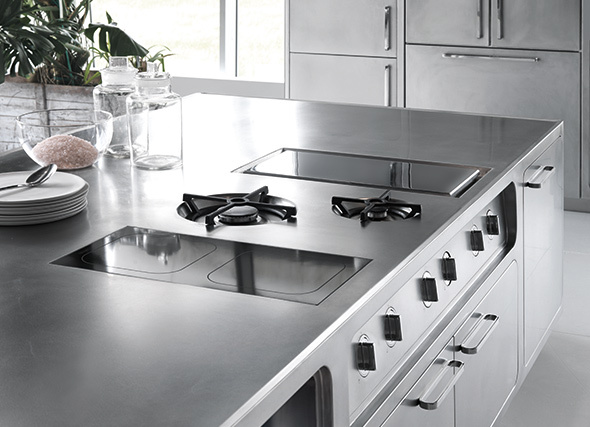 The stainless steel worktop can be integrated or with separate top plate, always joint-free. 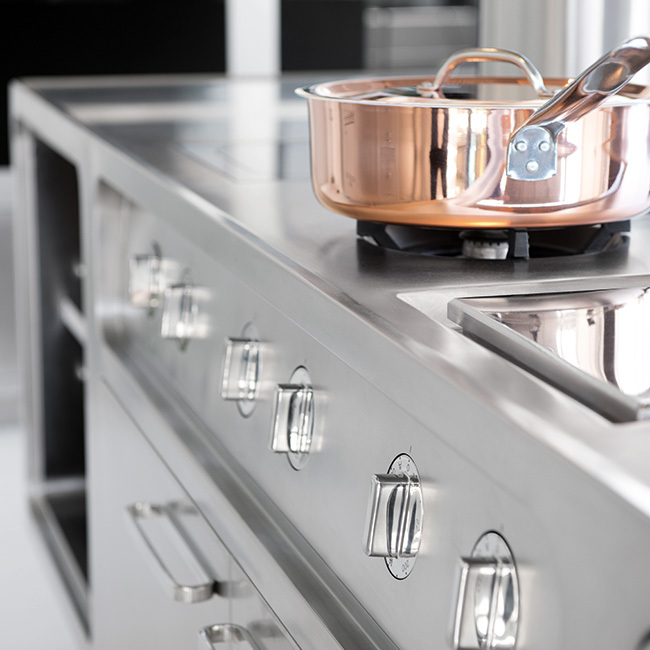 In the Ego line, the kitchen can be produced with the orbitally polished finish, mirror finish, or painted in any colour, without any limitations to your colourful imagination. Abimis favours movement: every task performed should be smooth, simple and consequential. Everything has a place, each component in its ideal position, devised to be immediately useful and usable, without wasting time, because all available time should be for cooking.